Playing everything, finishing nothing, posting screenshots. 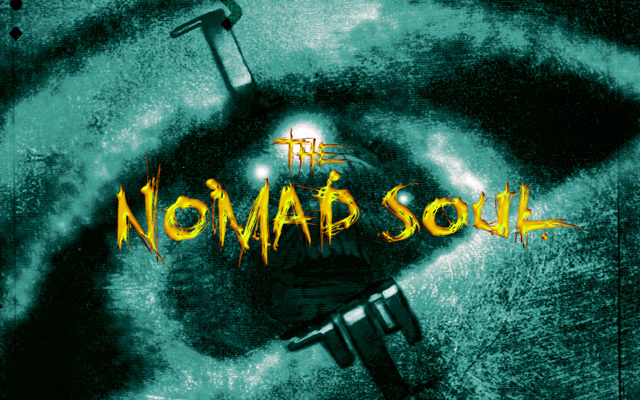 Click to jump back to Omikron: The Nomad Soul part one. And the final 'N' game I'll be playing this year is late 90s possess 'em up The Nomad Soul. Or maybe this is actually the first 'O' game, seeing as it's labelled Omikron: The Nomad Soul outside of Europe (plus Omicron is the 15th letter of the Greek alphabet, represented by an 'O' and I'll shut up now). Whatever you call it, this is Quantic Dream's debut game, released long before creator David Cage's obsession with QTEs and PlayStation 3s. It apparently was originally intended to make an appearance on one or both of the earlier PlayStations, but in the end only the PC and Dreamcast were graced with its presence. Like always my plan is to play it for an hour or two, or however long I need to get a good idea of what kind of game it is, and show a whole lot of screenshots along the way. And the latest game for my year-long epic marathon through the alphabet is... another PC Engine game. If you're wondering why I'm playing this so soon after Neutopia, well, amazingly this the only game beginning with 'N' left to play on my requests list. I've got the names of 11 A games scrawled down there, 15 S games, even 7 W games, but this is the one and only N. And now that I'm playing it there are in fact no Ns. There's a whole lot of words in 'NHK Okāsan to Issho: Niko Niko Pun', but if you break the title down it's pretty straightforward. 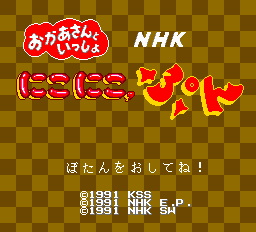 NHK is Japan's public broadcasting organisation (equivalent to Britain's BBC), Okaasan to Issho is a long running TV series for children, and Niko Niko Pun was a segment on that series. I know absolutely nothing else about the series, but judging by the characters on the game box I'm guessing it's for children. Young children. Click to jump back to part one. 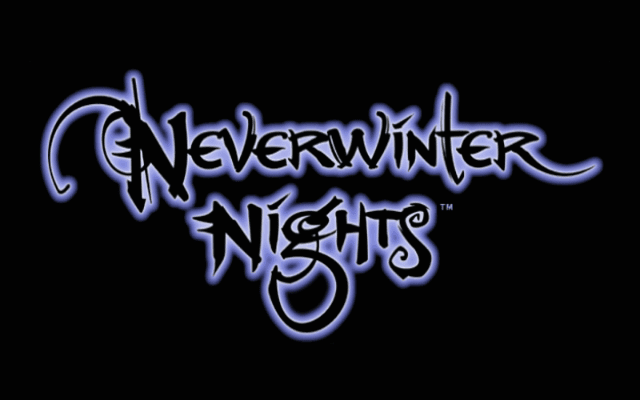 Today on Super Adventures I'm taking a quick look at classic Forgotten Realms D&D RPG Neverwinter Nights! No not the revolutionary 1991 game by Stormfront Studios that dared to find out what would happen if you took an MMORPG and added graphics, I mean the other one by BioWare that came out around a decade later in 2002. I couldn't blame you for getting the two confused though, as they're both D&D games with a strong multiplayer component that share the same bloody name, setting and city! The dumb thing is that all that BioWare needed to do was think of another word to go with 'Neverwinter' and it would've been fine! Or they could've just called the thing Neverwinter on its own like the folks who made the 2013 MMO would later do. Legacy of Neverwinter Chronicles: Origins, there you go! I said earlier that I'd be taking a quick look at the game, but it's an RPG so that was actually code for 'I'll be playing this for hours'. I've written about enough of these games by now to know the drill: to get a good feel for what kind of RPG this is I'm going to have to invest a fair bit of time, so forgive me if this drags on a bit. "Neutopia" is the twentieth episode of the sixth season of the animated sitcom Futurama, and the premiere of Season 6-B. It is the twentieth episode of the sixth season in production order, and the 108th episode in broadcast order. 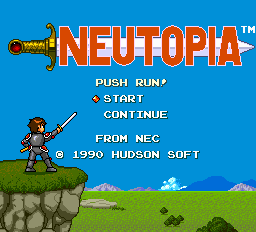 Actually ignore that, because the Neutopia I'm looking at here is a TurboGrafx game from Hudson Soft. I figured that my site could do with a few more of these around, especially after that run of modern 3D PC shooters I just played. The game's been described as 'a bit of a Zelda clone', so if this ends up being about stylish gunplay and gritty realism again then you can't blame me this time. Speaking of Zelda clones, the way the logo has been skewered on a sword sure seems familiar. Though Nintendo didn't really start piercing its Zelda logos until Link to the Past two years later, so I'll let them off with that. The final 'M' game I'm playing this year is Medal of Honor, not to be confused with Medal of Honor, despite the fact that it's by the same people and has the exact same damn name. Actually you should get the games confused, teach EA a lesson. 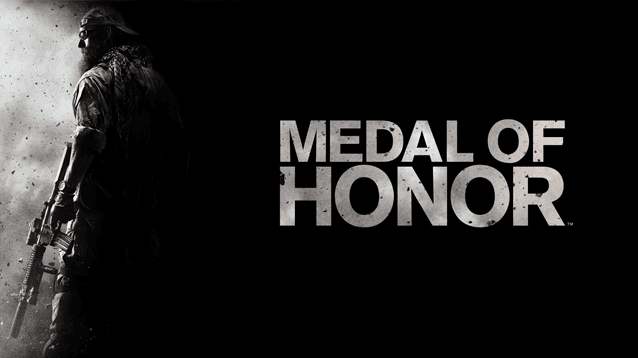 Medal of Honor 2010 seems to have acquired a bit of a bad reputation, possibly because it dropped the franchise's World War 2 setting after 11 years of gunning down Nazis to follow the Call of Duty series and become yet another charmless grey Modern Warfare clone. Or maybe it's just crap. Either way it probably isn't an ideal candidate for my site, but I've seen it get so much hate over the last few years that I'm curious to see what exactly it's done to piss so many people off. I'll only be playing the single player campaign I'm afraid, though I'm sure multiplayer also features gruff soldiers pulling off headshots with scoped M4A1 Carbines. 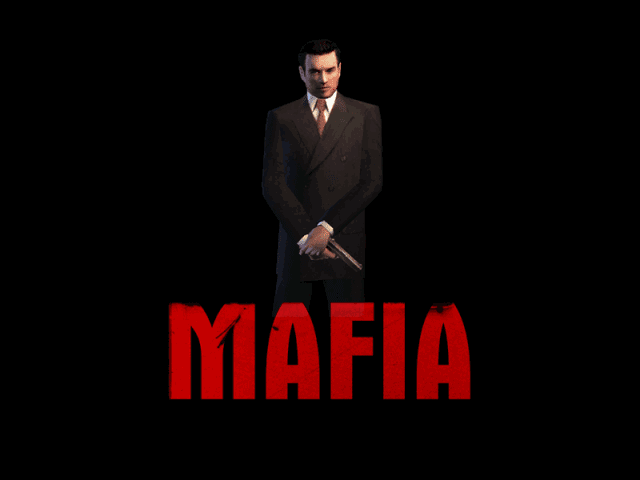 Today's 'M' game is 30s gangster simulator Mafia, though weirdly every other site on the internet seems to be part of a conspiracy to convince the world that it's called Mafia: The City of Lost Heaven. I don't know why they're all so keen to disseminate such obvious MISINFORMATION (probably because it makes it easier to actually find the game in a search engine), but if you check any of the game boxes, the official website, or the game itself, all you'll see is 'Mafia'. I've played this one before, but I don't remember getting very far in it. In fact it's been so long that I don't even remember what happened to my game box, so I had to get a second copy of it just to play it for you folks. Good ol' 2002: late enough for the average game to be a gig or two big, but just too early for DVDs to be standard for PC. Three CDs this comes on, all stacked up on the same spindle to maximise the chances that at least one of them's getting scratched. Anyway, like always I plan to play this just long enough to get a handle on what kind of game it's trying to be and judge if it's any good at it, then once I'm satisfied I'll kick the door open and bail. (Click the screenshots to view them in an utterly mindblowing 1280x960 resolution). Hello and welcome to my humble website where I share my first impressions of video games in "humorous" long-winded "articles" that are totally not just lazy game "reviews". Today I'm taking a quick look at the first few chapters of Max Payne 3. Seemed like the thing to do, seeing as I already played the first two games earlier this year (and the GBA game a few years before that). Max Payne was originally Remedy Entertainment's series, but Bully developer Rockstar Vancouver took over for the third instalment (presumably because Remedy were busy making Alan Wake). I'm just hoping they're better at making games than they are are making logos because... well just look at that thing! I've never seen a title screen in a AAA video game flicker and glitch out so much. Super Adventures may cost nothing to read, but that doesn't mean that you're utterly powerless to reward me for any work of mine you've enjoyed. For just the price of a cheap retro game you can help me keep writing about cheap retro games! Then you can sit back and feel smug about how generous you are afterwards. 2. I must not read the manual before playing or play fan translations. I like to figure things out for myself and it's more amusing if I don't know what I'm doing. 3. I must not complete the games. I'm trying to take a quick look at interesting games, retro classics and obscure crap, show what they're like and show off the art, not make full 'Let's Play' playthroughs or reviews. 4. You must not read these posts if you're concerned about -- spoilers --. I may discuss the story and show screenshots of cutscenes and dialogue. But I try to make sure I'm only spoiling the game that I'm playing. Copyright © 2011-2019 Super Adventures in Gaming.